About the size of a small box of wooden matches, the Cambridge DacMagic XS is one of the smallest and lightest portable DACs reviewer Steven Stone has seen. It measures approximately 2 1/8" by 1 1/8" by 3/8" and weighs under 4 oz. On one end you’ll find a micro-USB input and on the other end is a 3.5mm stereo output. Although it doesn’t handle every audio format, and isn’t DSD-capable, the DacMagic XS delivers a lot of functionality and sonic goodness for under $200. For audiophiles looking for a road-warrior-worthy DAC that will be at home hooked up to any computer, portable, or desktop, and successfully drive most headphones, the Cambridge Audio DacMagic XS DAC is a savvy and very affordable option. 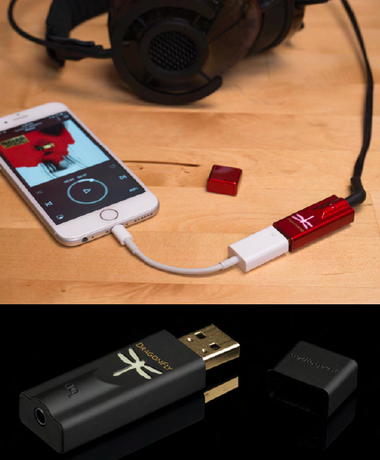 AudioQuest practically invented the low-cost, high-performance USB DAC in stick form with the original DragonFly. It was a massive success. But these two new models greatly improve on the sound of the original, and the $99 Black version comes at a lower price, to boot. The Black is smoother than the original, with more extended bass. Although both DACs sound superb and are amazing values, the Red at $199 delivers striking sonic quality, with exceptional transparency, resolution, timbral realism, and wide dynamics. Add AudioQuest’s $49 JitterBug USB isolation device to either and take the performance up another notch. The Red with a JitterBug is good enough to use as a front end in a budget high-end home-based system. Recent production adds MQA rendering; older units can easily be updated. This inexpensive device simply takes in an audio signal from a computer via USB and outputs a cleaner USB signal to your DAC. The “3R” in the model name refers to the device’s three functions: “redrive,” “reclock,” and “re-generate.” The Ideon 3R USB Renaissance will step up the sound quality heard through the USB outputs of most rendering computers, and at a very affordable price. 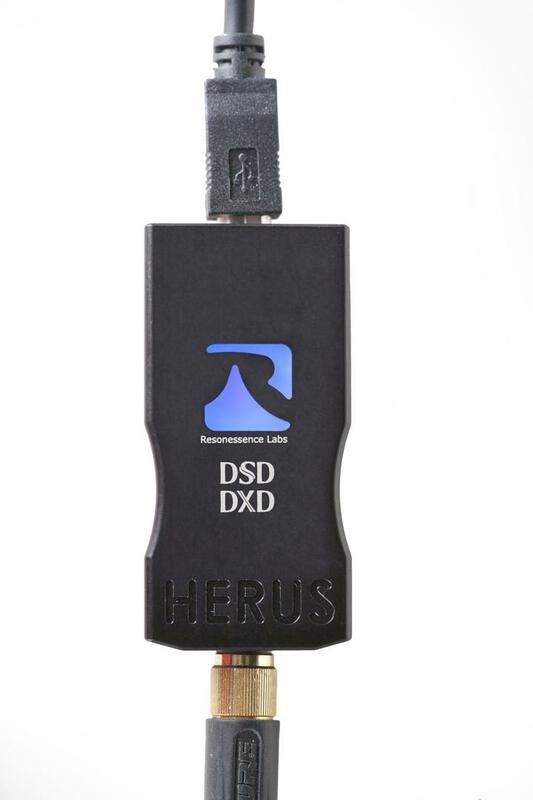 The Canadian-made Resonessence Labs Herus is one of the most flexible USB-powered DACs in sample- and bit-rate capabilities. 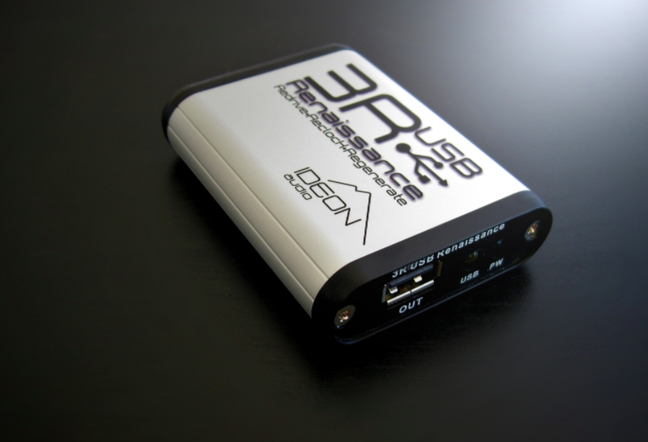 This lipstick-sized unit supports PCM up to 352.8/24 as well as DSD64, DSD 128, and DXD files. So, regardless of how you like your high-resolution files, the Herus will play them. Machined out of a solid block of aluminum, the Herus measures 2.5" x 1.25" by 0.75" and weighs less than a pair of CD jewel cases. On native DSD128 sources, it offered a level of sound quality that rivaled that of any DSD DAC Steven Stone has heard, regardless of price. More than a DAC, the DAC-9 can serve as a system controller, since it has several digital inputs, an analog line-level input, balanced and unbalanced outputs on XLR and RCA jacks, and most importantly, a remote control. It provides 99 volume settings in 0.5dB increments—impressive at any price. DSD decoding up to DSD256 is becoming pretty standard via asynchronous USB inputs. The DAC-9 played back all non-MQA formats at their rated speeds with no problem at all. It sounded very smooth and pleasant, and presented a wide soundstage. In reviewer Vade Forrester’s opinion, this is the best value in the NuPrime 9 series gear. If you’re in need of a high-quality DAC capable of PCM audio up to 192kHz/24-bit at an affordable price (and who isn’t? 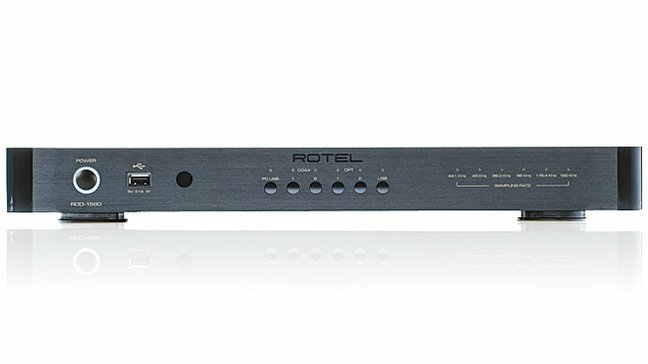 ), Rotel has designed a DAC capable of producing audiophile-quality sound at big-box-store prices. With six digital inputs, including USB, coax, and optical, plus the ability to stream Bluetooth audio from your favorite portable devices, the Rotel RDD-1580 is a DAC that will blow you away without blowing the budget. The Wyred 4 Sound DAC-2 combines a rich feature set with remarkable performance at a price that makes it hard to beat. Its overall sound has a solidity and weight that are both arresting and involving. While SS hasn’t heard every available DAC in its price range, he has yet to hear any USB DAC under $2500 that outperforms the Wyred 4 Sound. Factor in the basic DAC-2’s 192kHz high-resolution capabilities, small upcharge for DSD support, and the ability to convert to SE anytime you wish via built-in circuit-board upgradability, and you have a DAC that will remain au courant long enough to make it a savvy and satisfying purchase, regardless of how much more you can afford to spend. Designed by industry legend Mike Moffat, the Yggy DAC sounds very much like the famous Theta Digital DACs that Moffat designed in the 1980s and 1990s—but better. Like the Theta DACs of yore, the Yggy has a bold, assertive, vibrant, even vivid presentation. Because of this startling clarity, individual musical lines within complex arrangements are spatially and timbrally distinct. This has the effect of revealing each musical part with greater precision, as well as the intent of each musician—and with that comes a fuller, richer, and more complex presentation of the composition and arrangement. Transient attacks, from a hard-hit snare drum to the most delicate tap on a cymbal, are startlingly fast, defined, and vivid. If you’re looking for a DAC that does quad-rate DSD, decodes MQA, offers a volume control, and includes a headphone amp, look elsewhere. But if the very best reproduction of PCM sources is your goal, the Yggdrasil is the ticket. It’s a spectacular performer on an absolute level, and an out-of-this world bargain. The new Bryston BDA-3 enhances the functionality of the 2013 Product of the Year Award-winning BDA-2 by adding a second asynchronous USB input and four HDMI inputs. PCM sample rates up to 384kHz are now supported, as are DSD rates up to DSD256. Most significantly, not only can DSD signals be received by the BDA-3’s USB inputs, but also from suitably equipped HDMI sources. The evolutionary development of Bryston’s DACs from the original BDA-1 to the BDA-3 has been an object lesson in digital progress. 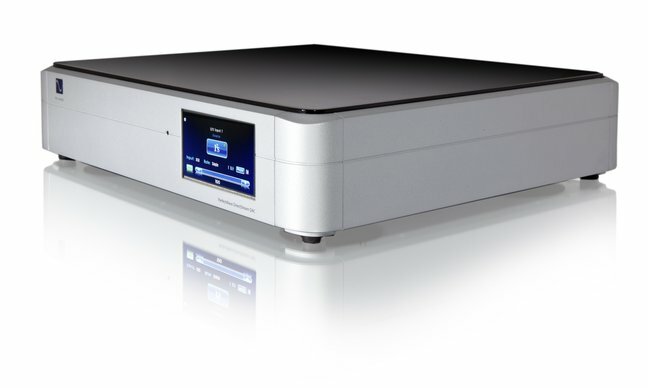 Bryston’s BDA-3 DAC surpasses the high-value performance standard set by the BDA-2, enables inexpensive HDMI-equipped disc players to function as premium source components, and adds exceptionally engaging DSD playback to its potent mix of virtues. Legacy designed the highly sophisticated Wavelet DSP speaker and room-correction processor to bundle with its own speakers, but this newly upgraded version can be used with any speaker. 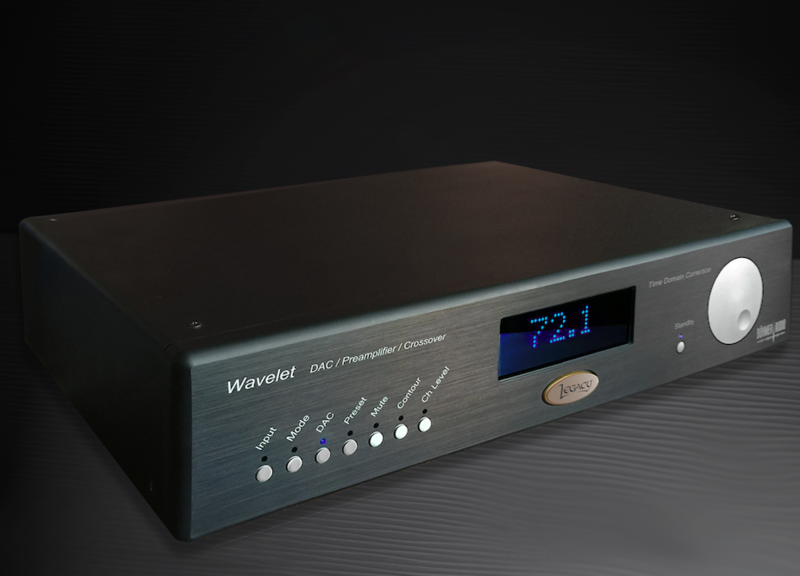 Functionally, the Wavelet is a preamp with integral DAC, digital crossover, and multi-band digital equalizer. It will correct for speaker and room frequency-response variations, as well as change the time-domain behavior of the wavelaunch from the speaker to reduce the deleterious sonic effects of room reflections. The Product of the Year Award-winning Alpha DAC is not only one of the best-sounding digital-to-analog converters, it’s also an amazing bargain. 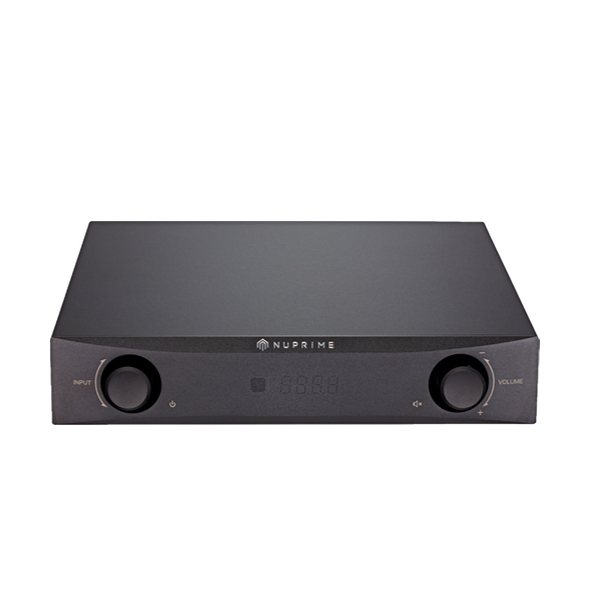 In addition to world-class decoding of CD sources, the Alpha DAC can handle any sampling rate up to 24/192. Its robust analog output stage and variable output level allow it to drive a power amplifier directly. This feature is significant, because the Alpha DAC is capable of such resolution, timbral purity, and dynamics you’ll want to hear it without the limitations of a preamp in the signal path. 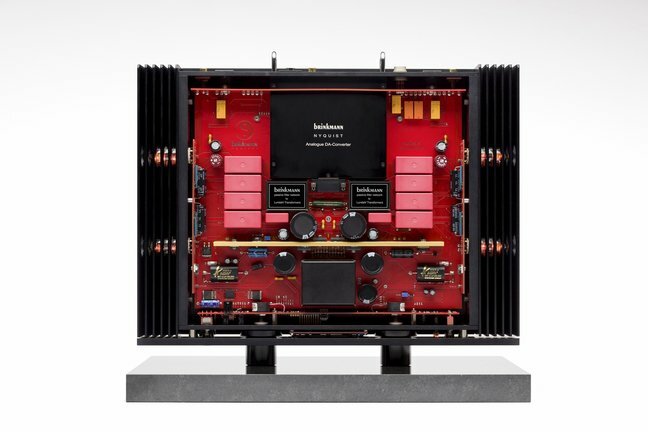 When used at its best—fed by true hi-res sources from a music server, and driving an amplifier directly—the Alpha DAC delivers stunning resolution of the finest musical detail, throws a spectacularly large and well-defined soundstage, and plays back music with gorgeous tone color and purity. It lacks a USB input, but you can add Berkeley’s Alpha USB converter for the capability. A user-installable update adds MQA decoding and improves PCM sound quality. Sometimes it’s good to start from scratch when designing a new component. That’s what software guru Ted Smith did—he started from the premise that DSD recordings sound good and built a DAC around that premise. Using a field programmable gate array (FPGA)—the digital equivalent of a blank slate—he created a DAC that converts all incoming PCM files to DSD128, then decodes them with a 24dB-per-octave low-pass filter (LPF) with far less harmful sonic impact than typical brickwall PCM filters. The transformer that’s part of the LPF filter is also the output section, so there are no tubes or transistors to be seen (or heard). PS Audio’s Paul McGowan heard a prototype, loved it, and agreed to build it. VF thought it was easily the best digital sound he’d heard, but the DAC needs lots—probably 500 hours—of break-in. Recently available is the PS Audio MQA Bridge Card for MQA-unfolding at $899 (see Music Servers). The least expensive DAC from England’s dCS, the Debussy nonetheless makes use of virtually the same circuitry and technology as its far more expensive stablemates. Further, its generous feature list includes plentiful source-format options, single-ended and balanced outputs, and a front-panel sample-rate display. Most importantly, the Debussy’s sound is great, with a density of musical information that sets it apart from the competition. Nor is there any sense of frenetic digital machinations; AT found that sound winds out of the Debussy like thread from a spool. 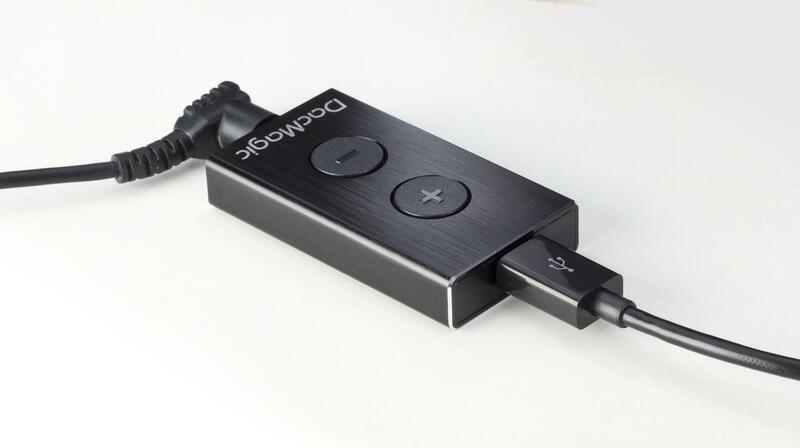 Moreover, this DAC’s USB interface is one of the industry’s best-sounding. Despite being the “cheapest” model, the Debussy boasts a sonic and musical imprimatur that unquestionably identifies it as a true dCS. Recently updated to support DSD on USB and all other digital inputs. Brinkmann may be best known for its 35-year track record of making exceptional turntables, but its new Nyquist DAC immediately establishes the company as a major contributor to first-rank digital playback. 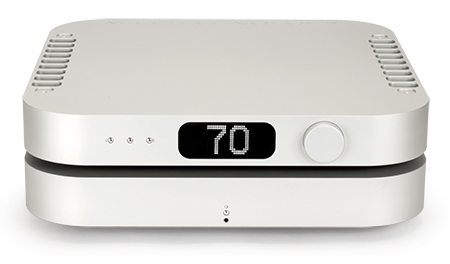 The Nyquist is brimming with advanced features, including MQA decoding, high-speed DSD support, Roon-ready operation, UPnP connectivity, and upgradeable digital circuitry. Yet for all of its cutting-edge digital prowess, the Nyquist’s output stage is built around that most ancient and venerable of audio technologies, the vacuum tube. This marriage produces a sound that is very “non-digital,” embodying all the qualities that analog is famous for—dimensionality, treble smoothness, bloom, timbral purity—but coupled with digital’s strengths of image solidity, pitch stability, and bass impact. The combination of analog-like warmth, bloom, and ease along with the state-of-the-art in digital connectivity makes the Nyquist an extremely compelling package. Berkeley took what was the finest-sounding DAC extant, its Alpha DAC Reference, and significantly improved it with the new Series 2 MQA version. The Series 2 MQA has a smoother and more natural rendering of timbre, finer resolution of detail, greater transparency, and, perhaps most importantly, a dynamic openness that increases musical engagement. This new DAC’s smoothness doesn’t come at the expense of liveliness or timbre through the brilliance range; it somehow manages to combine liquidity with resolution, transient speed with an absence of etch, and information density without fatigue. And it does this even with CD-quality files. Note that the Alpha DAC lacks a USB input; you’ll need Berkeley’s Alpha USB converter ($1895). 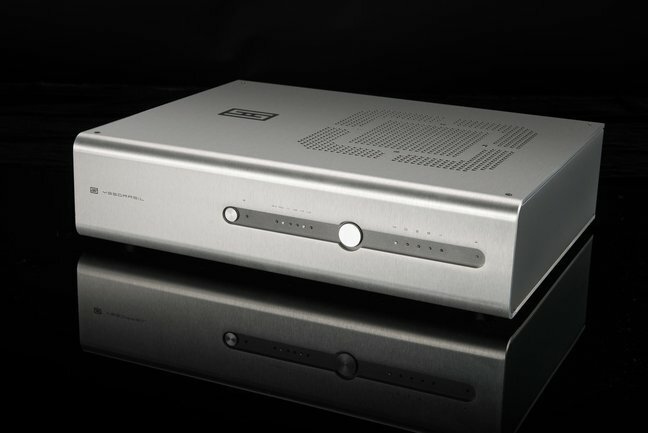 The original Alpha DAC Reference was priced at $16,000; the Series 2 is $19,995. Owners of the original can upgrade for the $3995 difference. The latest software update ($595) not only adds MQA rendering but also realizes a surprisingly large improvement in PCM sources. But play an MQA file and you’ll hear the absolute state of the art in digital playback. Digital doesn’t get any better than this. JV is an analog man and always will be. But when it comes to ones and zeroes, things have taken a rather dramatic turn for the better chez Valin since the arrival of the MSB Reference DAC and Reference transport. On physical media such as CD or SACD and on streaming sources, the Reference DAC is the most realistic-sounding digital source-component JV has heard in his home, including the dCS stack he reviewed years ago. It is weird that this DAC has turned his head, since it doesn’t do three-dimensional imaging and bloom quite as well as record players do. And yet, on select cuts from select discs the thing has the colorless neutrality, speed, detail, presence, dynamic range, and delicacy that still make voices and instruments sound “real” enough to raise goosebumps. As a bonus, the Reference DAC renders and decodes MQA, is Roon-ready, and includes a built-in volume control that is absolutely superb and that, at least with digital material, can be substituted for whatever preamp you’re currently using. JV’s reference.